Roslynn Beighton is a former communications intern at MRG and now works for Fern, an organization which campaigns for the protection of the world’s forests and forest peoples. 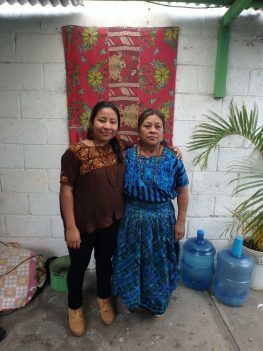 Mayan women represent significant actors in resistance movements and social development organizations calling for basic human rights in Guatemala. During a research trip earlier in the year, I was fortunate enough to meet and stay with some truly inspiring female activists who are working exceptionally hard to fight for their basic human rights – as women and as members of various Mayan ethnic groups. In just under four weeks I navigated my way across eight departments of Guatemala, via local ‘chicken buses’ winding their way over the country’s hair-raising roads. I was interested to find out what motivates Mayan women to create and occupy spaces for activism, as well as explore the obstacles they face in mobilising in such spaces. With the help of MRG and Peace Brigades International (PBI), I interviewed several Mayan women working in rights-based grassroots organizations . Maggie, the first and most passionate activist I had the pleasure of meeting and staying with, had independently set up her own organization named Movimiento de Jovenes Mayas (Movement of Young Mayans, AJUP) without the support of external funds. 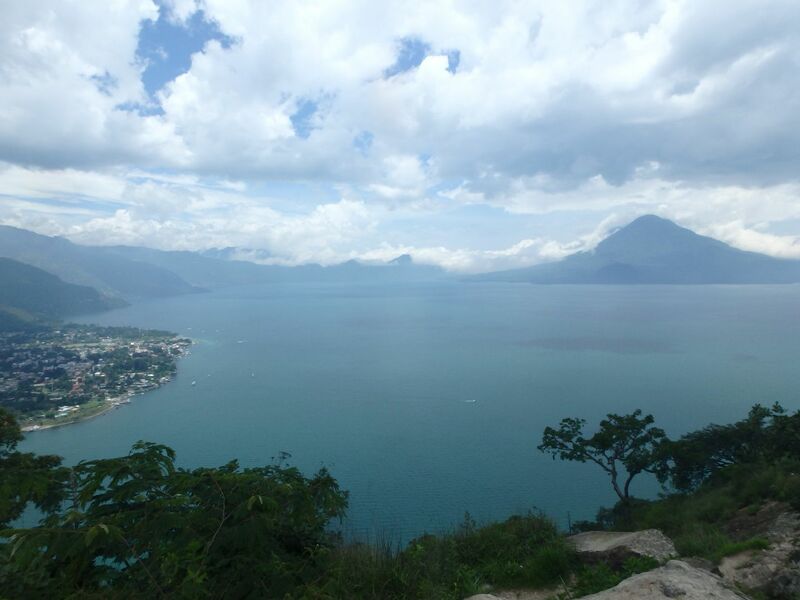 Whilst sat on a rock at the edge of the south east shore of Lake Atitlán in her hometown of San Lucas Tolimán, she spoke to me at length about how private companies, with the aid of the government, were removing water from the lake, a vital source which has been used for generations by the indigenous villages interwoven into the stunning landscape of imposing volcanoes, verdant valleys and tranquil beaches. On the weekend I stayed with her family, protests were taking place in the town of Santiago and the district capital of Sololá. Maggie’s mother Felipa advised us not to take certain roads west as it was risky. She also confessed that Maggie’s work as an activist kept her up most nights – she believed it hopeless to try and get involved in activist spaces and worried immensely for the safety of her family. Unfortunately I sensed a defeatist attitude by many women in indigenous communities, which proves how terrorization of individuals and their families can be triumphant in paralysing spaces for activism. Figures such as Maggie represent those women who, through sheer conviction and drive, challenge the system of oppression they are born into by fighting for their rights. We avoided the local manifestaciones and instead headed to the capital, where Maggie invited me to observe a forum of indigenous peoples held by Red Nacional Por La Defensa De La Soberania Alimentaria En Guatemala (National Network for the Defense of Food Sovereignty in Guatemala, RENSAG). I noted the participants made up over 40 men and less than 10 women. However, my conversations with several female activists from various organizations I shared a room with, including two organizers from Nuevo Horizontes (New Horizons), exposed the important role of rural women in solidifying activist spaces for other female community members and working for causes such as food sovereignty, education for girls, reproductive rights, female political empowerment and indigenous land and resource protection. I met with Norma, a Mam activist working for RENSAG who was a former refugee that had fled to Mexico when she was five years old. She remembered the journey vividly, as well as the years of pain and trauma she suffered after the death of her father and her move back to Guatemala to a town where no one spoke the Mam language and neighbours accused her family of being ‘guerrillas’. Bearing the mentality ‘what doesn’t kill you makes you stronger’, Norma adapted to her circumstances and through identifying herself as a woman, a Mam and a mother, she learned to stand up for her beliefs and family. Spaces for female indigenous activism are often the result of movements conceived out of necessity in communities at high risk of oppression from institutionalised discriminatory policies. 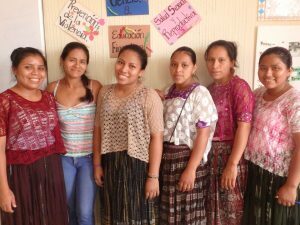 My fieldwork findings attribute the most powerful driver for social change in these women’s lives to be their Mayan cosmovision. Despite the assault on Mayan lifestyles by globalising forces as a result of neoliberal policies, the shared values of Mayan communities continue to profoundly shape the evolution and organization of Guatemalan indigenous societies. Equality, harmony and balance were mentioned time and again as intentions of the cosmovision which induced alternative ideas of ‘foreign’ theories such as feminism, by striving for well-being and happiness for all members of a community. Activist spaces must be contextualized in this worldview, which binds nature and humanity in eternal unity. The expression of a value system rooted in ancestral ways of living for the Mayan population reflects a particular inspiration for the participation of female Mayans in activist spaces.